Billionaire and philanthropist Paul Allen, co-founder in 1975 with Bill Gates of the American giant Microsoft, died of cancer on Monday 15th October, 2018. A billionaire and philanthropist Paul Allen , co-founder in 1975 with Bill Gates of the American giant Microsoft , had survived cancer twice before succumbing on Monday to a recurrence, at the age of 65. years. Reactions to the death poured in, including that of his former partner and long time CEO of Microsoft Bill Gates, with which he had quarrelled when leaving the group in the 1980s. Hailing “one of his closest friends,” who “deserved more time,” Gates said “personal computing would never have existed without him,” according to a statement quoted by the US press. “It is with great sadness that we announce the death of our founder Paul Allen, co-founder of Microsoft”, said earlier the company Vulcan, founded and owned by the billionaire, stating that he had died “Monday afternoon, October 15, 2018 complications of a non-Hodgkin lymphoma, in Seattle” (northwest), his hometown. Paul Allen had announced in early October that this disease, treated for the first time in 2009, had recurred, but that doctors were “optimistic”. He had also survived another form of cancer, Hodgkin’s Disease, diagnosed in 1982. “My brother was a remarkable person in all respects,” said his sister Jody in the Vulcan Communiqué , praising “tech man and philanthropist”. Paul Allen co-founded Microsoft with Bill Gates in 1975 before slamming the door in 1983, angry with his former partner, whom he later accused of attempting to “scam” him as he pondered his departure and that he was recovering from his first cancer. 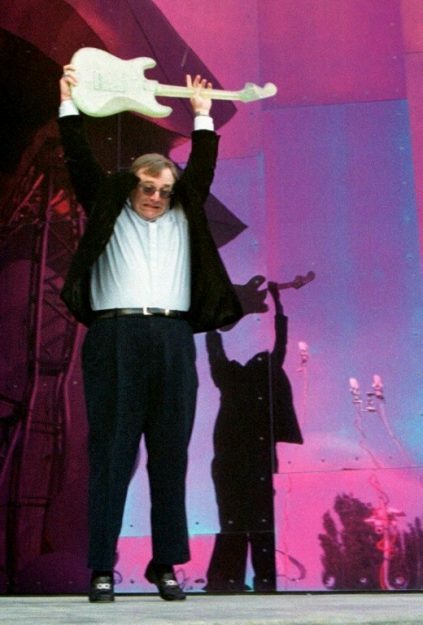 In the absence of agreement on the redemption price of his shares, Paul Allen had retained his shares, which will make his fortune when he sells them around the year 2000. A fortune estimated Monday evening to 20.3 billion dollars by the magazine Forbes. Steve Ballmer, another former Microsoft executive and former boss of the group, whom Paul Allen also accused of attempting to scam him into the 1980s, talked about Twitter as “a great mentor”. Google CEO Sundar Pichai has hailed a “big pioneer” in the world of technology. Three years after leaving Microsoft, Allen founded Vulcan to manage its various businesses, including culture, real estate, and sports. He owned the Seattle Seahawks football team and the Portland Trail Blazers basketball team. Like many billionaires, including Bill Gates, Paul Allen was an ardent philanthropist, especially in health. Despite a complicated story with the software giant, Microsoft boss Satya Nadella praised the memory of his co-founder, who “created magical products, experiences and institutions, and by doing so (…) changed the world, “according to a statement. The world of sport has also paid tribute to him, including the president of the National Football League (NFL), Roger Goodell, who wrote in a statement that “his passion for the game, combined with his quiet determination, led to a model organization, both on and off the field “. NBA (Basketball) Adam Silver praised the “vision” and “generosity” of the missing. “He has worked tirelessly with our medical advisors to identify new ways to make gambling safer,” said Goodell. ” We miss you. We thank you. We love you, “the Trail Blazers team wrote on Twitter. Paul Allen also founded Stratolaunch, a company that has built a giant space-launching aircraft that is currently being tested in California. The company hailed him as a “visionary”.